In my previous player spotlight, I featured one of my fellow UKAC admin that made the drive to Derbyshire, this next spotlight is of Henry Nicholson, the final co-founding member of the UKAC. Thank you for taking the time to travel to us and play a game with Grey Fox H! It was great to have you with us for the day! Can you tell us a bit about you? Where you’re from etc! My name is Henry but most people call me H. Better than them calling me Harry I suppose! I’m from down south, in Basingstoke! 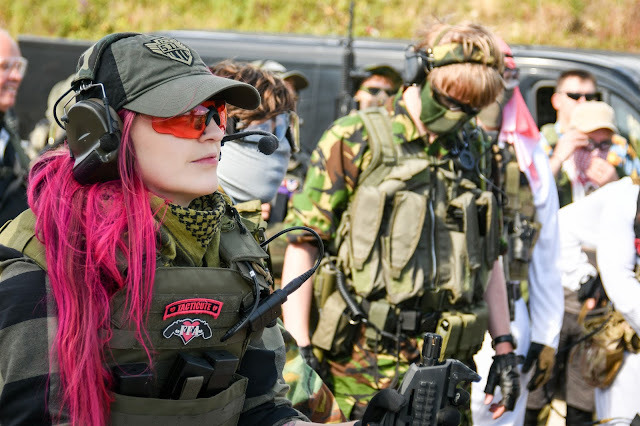 Airsoft is my main hobby, alongside music. Tell us about your Airsoft background? How long have you been playin? What originally got you into Airsoft? I have only been playing airsoft for about 2 years now actually! My good friend Sim Jones got me in to it. I used to work with him and it was all he talked about! Thought I should probably give it a go… Best decision ever. 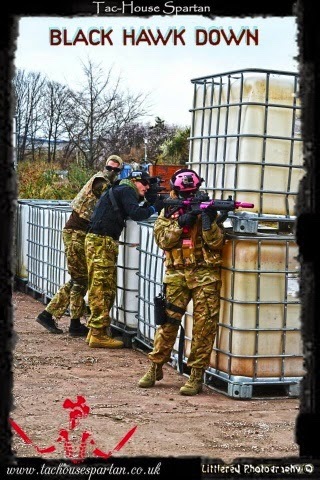 My home site, I would say is Iron Sight Airsoft, just outside Andover. Lovely little CQB site! Never had a bad game there. Most memorable? I’d have to say places like The Malls and Tac House Spartan. Those just have something nice and different to add to the sport. There are ‘other’ sites firm in my memory but not necessarily for good reasons… We won’t go into that! Describe to us your playing style? I enjoy playing in all kinds of styles, sometimes it is nice to sit back, and wait for the opposition to walk into your perfectly placed ambush however, can you really beat that aggressive, breach and clear feeling? Weapon of choice for me, strangely these days is my TM M3 Super 90 Tri-shot shotgun. I usually run that with my WE XDM. People keep their heads down! Tac House & FFA - Was the drive worth it? Did you enjoy the day? I thought a 3 hour drive was going to be a little much, just for a game day but I have never been so wrong! It was an awesome day. I felt very welcomed and the game play was amazing. It is a great site! We were there for the duration of the ‘Black Hawk Down’ event, which was a very good twist on a normal game day, however I would like to go back for a normal game day and see how game play can differ. What was the best/worst parts? I mean, shooting a man in the balls made me cringe a little bit, but my god it was funny! That was the part where me and you, Kelly, snuck through the ground floor of the factory and flanked a few of the ‘Somali’ and ‘Delta’ team. Very, very fun! How did you feel about travelling to a new site with people you’d never met? It was an odd concept… I’ll give you that! We didn’t really know what we were letting ourselves in to in all honesty! It was well worth it. Meeting all of you, fellow UKAC members and Admins was a great experience and I’d like to travel to people more often after that! Did the day live up to your expectations? Better. A lot better! Marshals were hilarious and very fair. Other than shooting each other, there were no conflicts between teams and players. It was a brilliant, relaxed day. How was it shooting with FFA and Grey Fox? Awesome! Bloody brilliant! I will certainly campaign to do it again soon! You guys can come down this time though yeh? Petrol can be pricey! Facebook Group: facebook.com/groups/UKAirsoftCommunity of course!